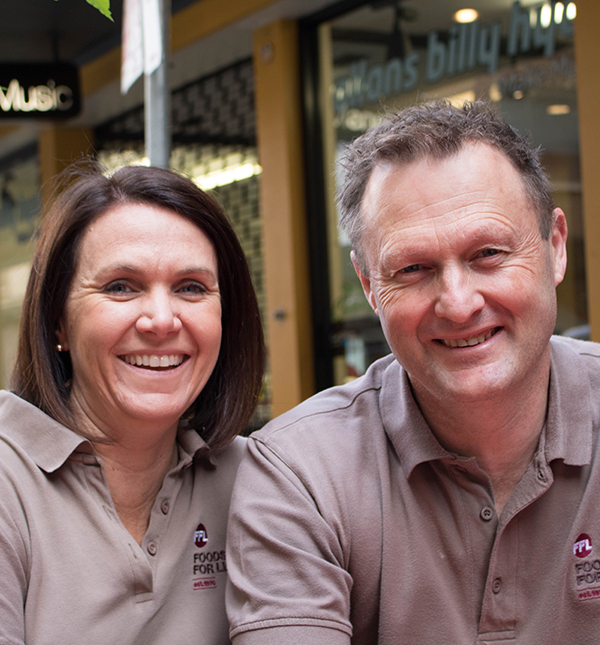 Family owned and operated, Foods For Life has been Adelaide’s most trusted Health Foods store since 1972. We are advocates for healthy living, delivering quality products, from the best brands, and expert health and wellbeing advice. Jason, a qualified Chef and previous Executive Chef of some of Adelaides finest hotels is passionate about food (some might say a little obsessed). Everything that comes out of the Foods for Life kitchen is of the highest quality, fresh, seasonal and innovative. More than just a general ‘cafe’, Foods for Life dining whether you’re just in for cake and coffee, grabbing a healthy salad for lunch or selecting from our take home options will not disappoint. Jason is into health and fitness and has competed in 3 marathons, more than 25 Olympic Distance Triathlons and has recently completed his second IronMan. (yes two). He has the necessary skills and experience to personally advise you about your sports nutrition. If you’re keen to achieve or maintain optimum performance Jason’s here to help with advice from personal experience. Jason is ably supported at work and in life by Suzanne who tests, uses and is able to recommend healthy lifestyle, home and beauty options for those wanting to use and put into their body only the safest and highest quality products. Suzanne is also the voice behind Foods for Life on Facebook and Instagram. If you want to keep in touch with the latest in-store Like our Facebook page or follow us on Instagram. From time-to-time you’ll also see the kids Olivia and Mitchell in-store, rounding off the Foods for Life family.